Pam’s Pictorama Post: I never understood the importance of Pluto until we got a very nice disk of early Mickey Mouse cartoons issued a few years ago. 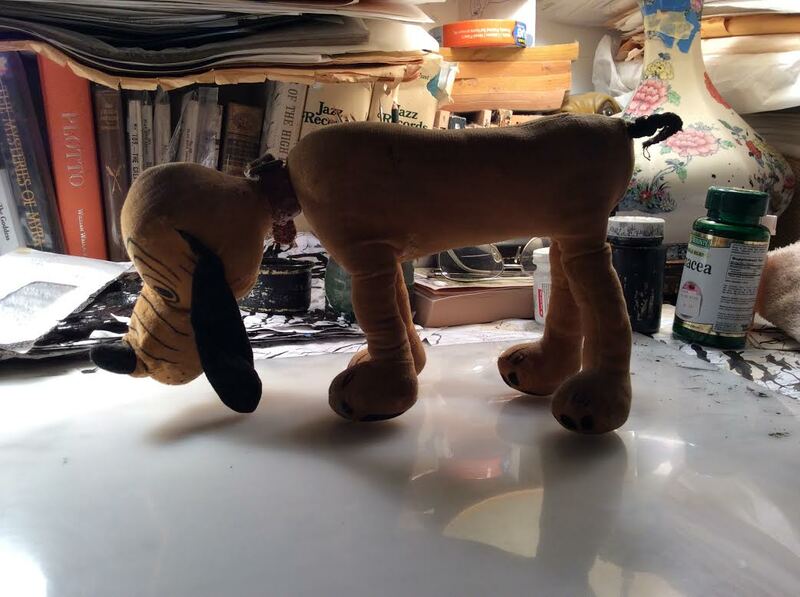 (In fact I think I had Pluto and Goofy somewhat merged in my mind – what was Goofy all about anyway?) As Kim says, Pluto appears in the series and there is a whole new life to it. Suddenly I became a Pluto fan! Still, that doesn’t mean I meant to go out and start collecting Pluto toys. 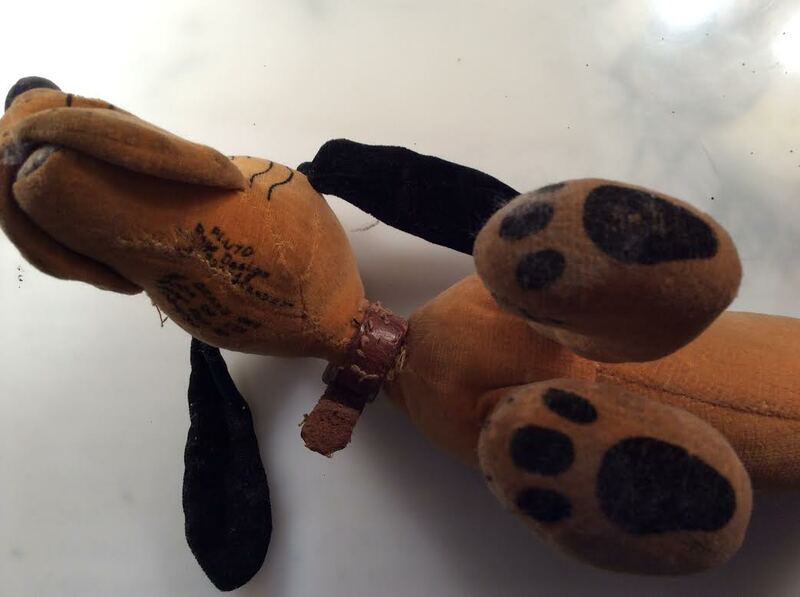 However, not long after, when I saw this hot Dean’s Rag Company Pluto go on auction (Morphys I think, maybe Hake’s) a few years ago I decided that I would scoop it up if I could get it for the right price – and here we are. Pluto, a lesser Disney character, was a bargain and now mine. Pollocks Dictionary of English Dolls, The colours were fast, the produce certified as hygienic. The pages could be washed without damage, and sucked with impunity: perfect, in fact, for children who, in the words of the rag book’s originator, “wear their food and eat their clothes”. The other Pluto came into my collection in an interesting way. I was watching American Pickers and Frank found one on a pick. As I occasionally do when there’s a really cool toy on their show, I looked it up on eBay and that night there was this nice, if slightly battered, example. Bam! On a whim, he was mine. 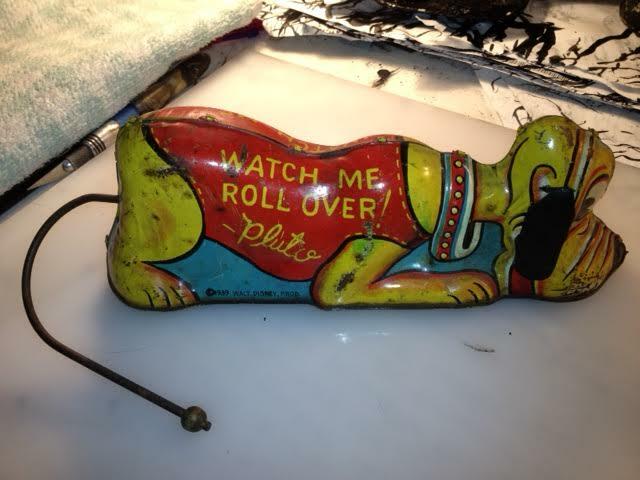 He does rollover – somewhat laboriously in his case, and I do like to return to my wind-up toy roots occasionally. Last, but not least, I have included an example of a 1931 Pluto and Mickey cartoon. Enjoy!